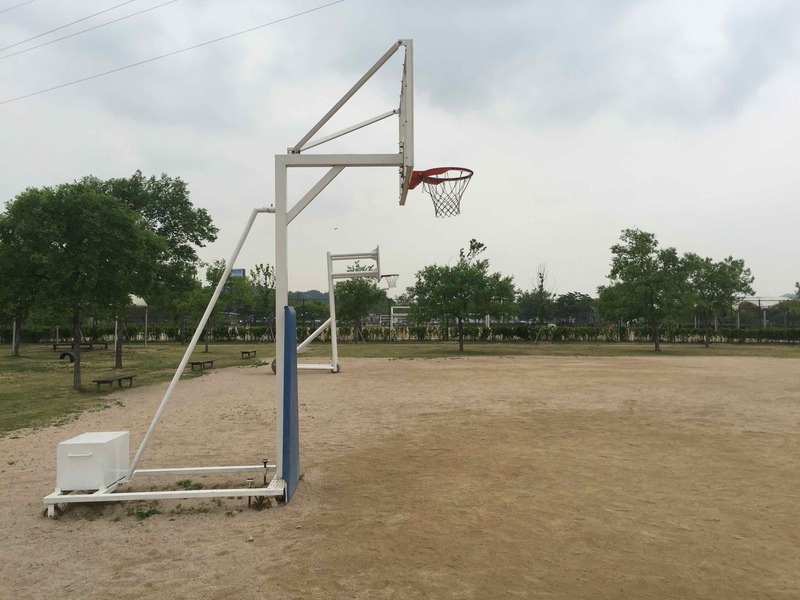 Sometimes you don't need a high-quality basketball court. 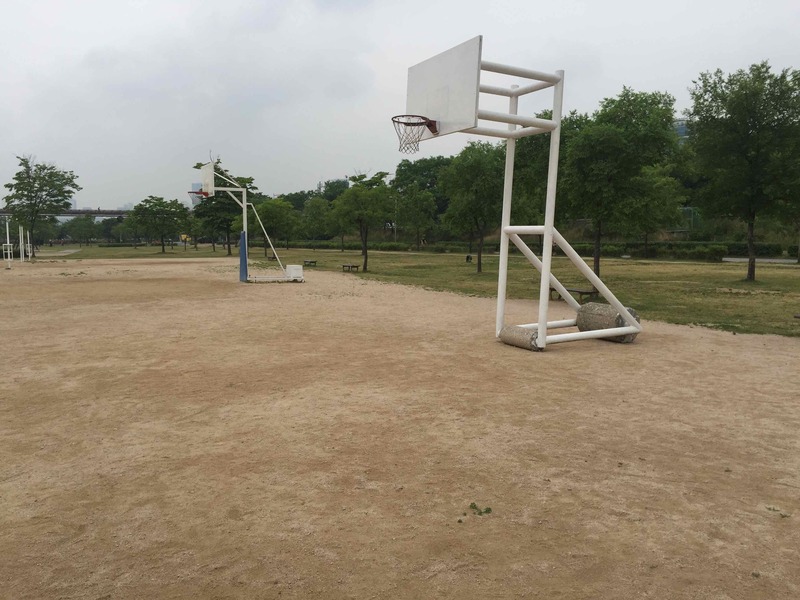 Sometimes, you just want a place to have a fun relaxed game of basketball with friends who may not actually be that interested in a competitive game. Enter Yanghwa Hangang Park. 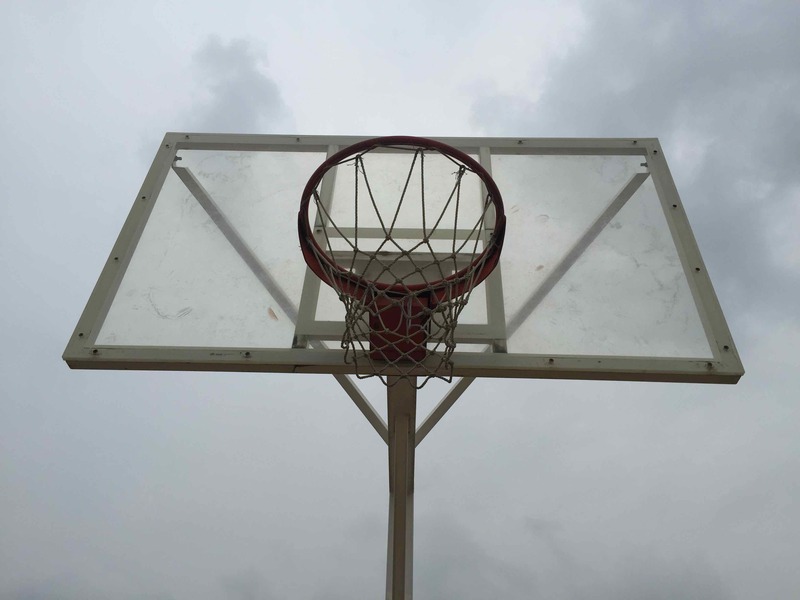 The basketball courts, if you can even call them courts, are not good courts. Nor do they pretend to be. They are merely a set of goals facing each other with pack dirt in between. 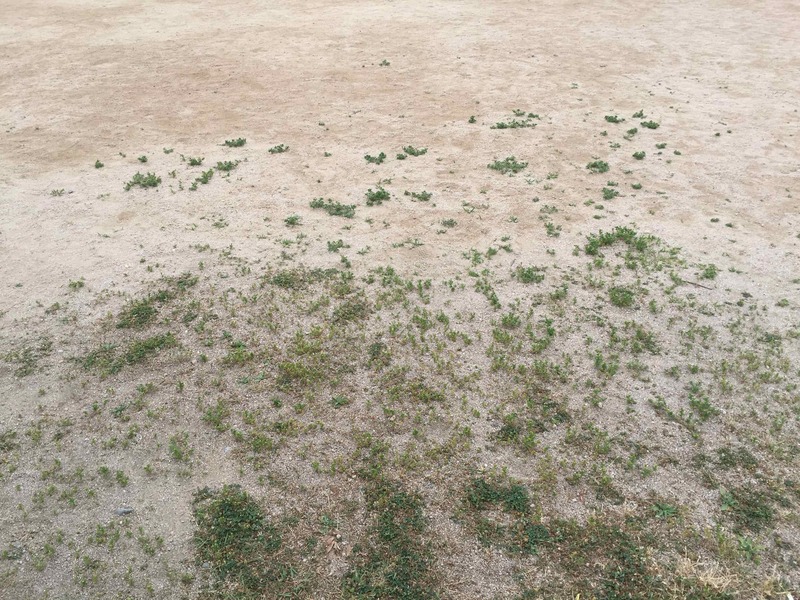 As previously mentioned, expect nothing except for packed dirt with grass encroaching from the sides. Beware of the occasional larger rocks. 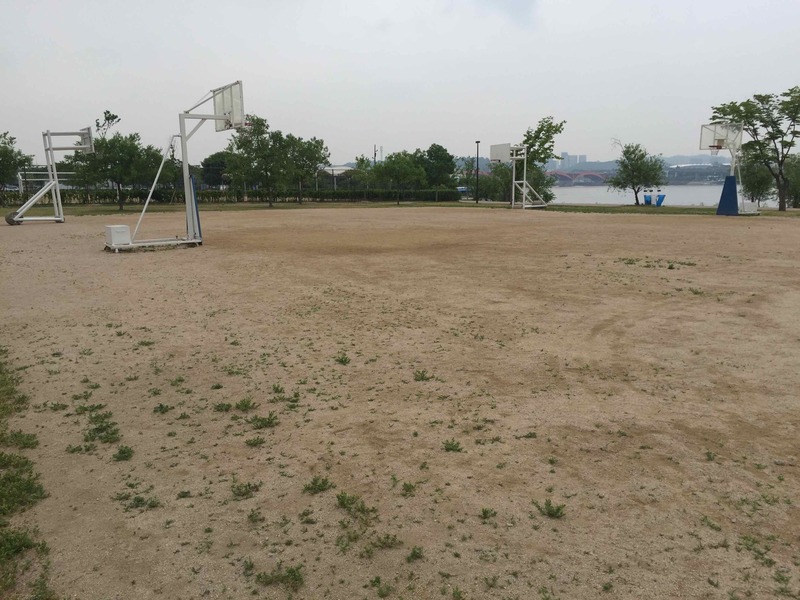 -Set on the shores of the Han River, the scenery is pleasant. -The park is an active spot. There's lots of energy here. -There are plenty of alternate activities nearby. 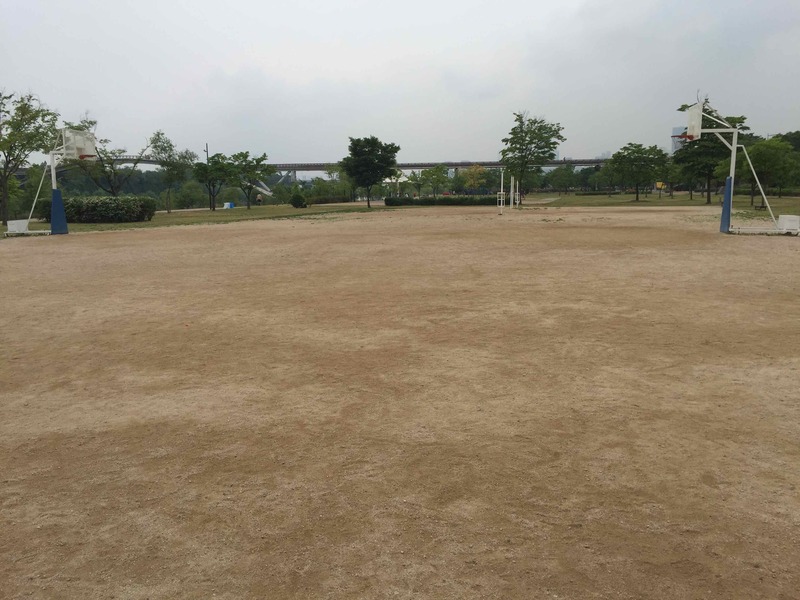 Consider a visit to nearby Seonyudo Park. -The courts are not really courts. They are dirt lots. -Public transportation access is not that convenient. You've got two options. There is a typical convenient store found on the opposite side of the soccer field. 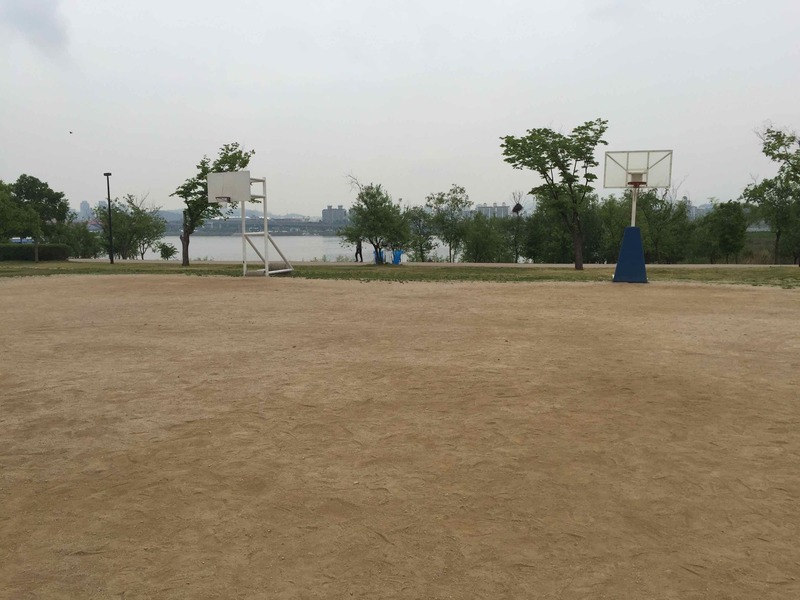 A more pleasant option is to walk over to Seonyudo Park and enjoy a cool down at the cafe. It has a great porch to sit on if it's not too crowded.